Just off the main Plaza and across from the Catedral in downtown Sucre a street is lined with cafés and bars. Whether mototravelers, backpackers or tourists on guided jaunts, if you stop in Sucre you will find yourself here. Perhaps the most popular among all groups – including locals – is Joy Ride Cafe. 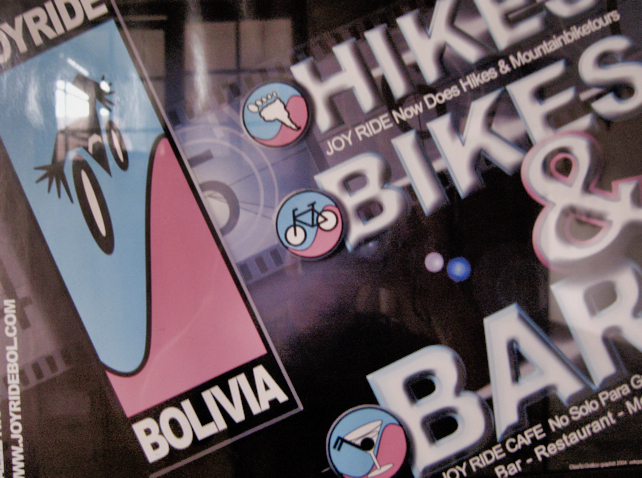 Founded in 2001 by Dutch-born Gert van der Meijden, Joy Ride is Sucre’s central meeting point for travelers. They offer mountain bike tours, paragliding, guide tours and more. Gert has been in Bolivia for more than seven years and as such is extremely familiar with Sucre and the entire country. I met with Gert several times over the two weeks I spent in Sucre and had the opportunity to interview him for a WorldRider PodCast edition. You can download the PodCast here or by click the icon. For those of you subscribing to my PodCasts in iTunes, it should be available for download. Listen to the PodCast by clicking the PodCast logo below. Meet Gert van der Meijden Joy Ride Cafe owner and motorcyclist. Every night I stopped by Joy Ride Cafe the place was packed. 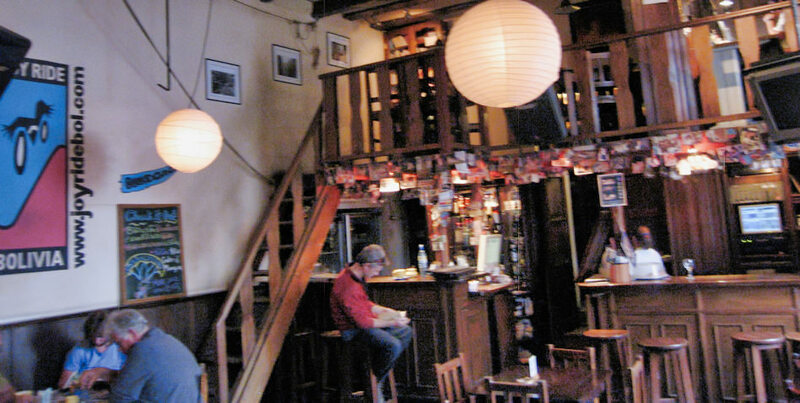 A fine tuned bar and restaurant offering local recipes as well as those traditional “gringo” meals for the less adventurerous world diner. A very successful business with three levels, the first a traditional bar with a unique loft, the second a courtyard patio with natual lighting, and the top floor is a tony lounge where on certain days of the week travelers lounge in giant bean bag cheers sipping beer or exotic drinks to large screen feature films. You’d think Gert had it all here. But I learnd is ready to take on a new challenge. Not that Bolivia doesn’t interest him anymore, but he’s ready to move on. That’s why he’s looking to sell Joy Ride Cafe. Though not officially on the market, he revealed his desires during our meetings. I’m sure some ambitious world traveler would find the prime real estate and very successful business an interesting proposition. 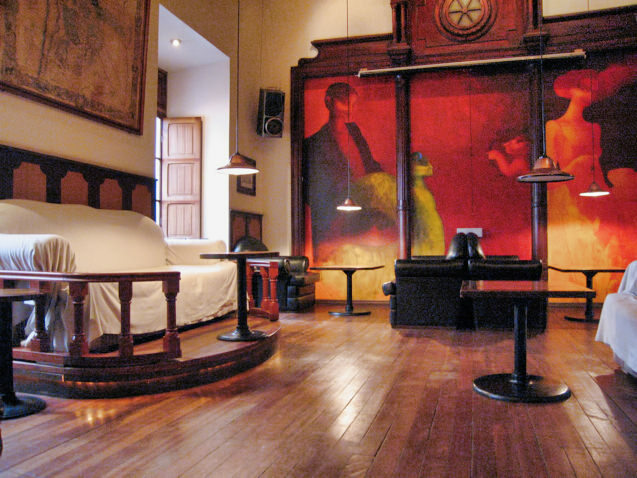 The upstairs lounge at Joy Ride Cafe in Sucre, Bolivia. 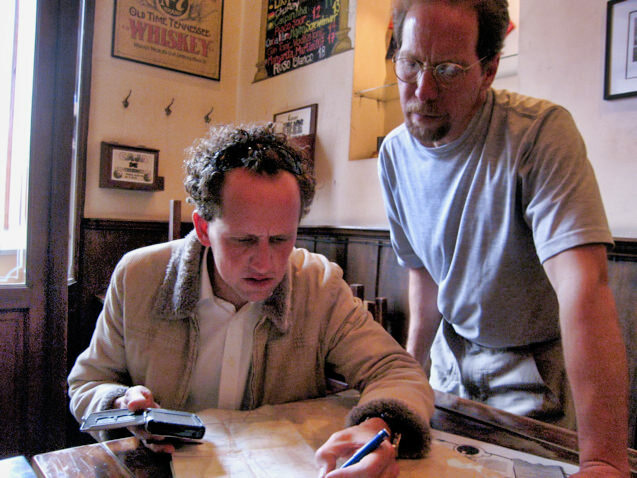 Going over GPS waypoints with Gert at Joy Ride Cafe. Downstairs bar at Joy Ride.